The Agile software development methodology includes many terms that are unfamiliar to those who haven’t been involved in these kinds of projects before. Learn what some of these are in this article. This article was created for a few reasons. First of all, I wanted to have a place that I could list all of the terms that were specific to Agile that I didn’t know and to create a list of definitions for them. Secondly, in an effort to help others with their IT career, I listed it on this site so that others could benefit from it. I also couldn’t find a definitive list of these terms, so using my own knowledge and a collection of other sites, I’ve come up with this list of Agile terms. Where I’ve written a more detailed post on the topic, I’ve linked to it in the description. 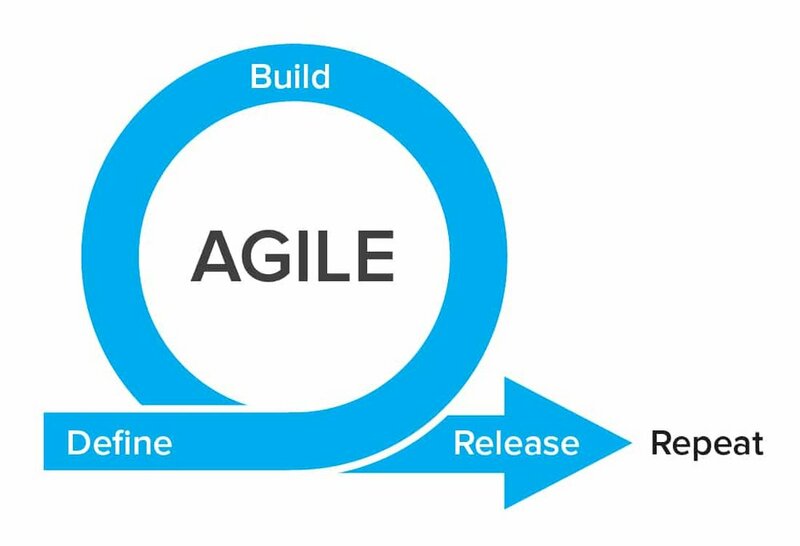 Agile– a method for developing software that involves regular releases of working products, alternative to the waterfall method of a large development period and a single release. Scrum– a method of short, iterative development cycles that allow new requirements to be added in and adapted to. An implementation of Agile, which you canread more about here. Kanban– a method of managing changes to existing processes and improving them. Manifesto – the aim of Agile implementations and what their focus is on. Iteration– a period of time from the beginning of a release to the end. Multiple iterations exist in an Agile project and are usually between 2 and 4 weeks. User stories– a requirement that has been listed from the perspective of a user, and what the benefits are. Acertain templateis usually followed. Features– a collection of user stories that describe an aspect of a solution, such as customer account registration. Epics– a very large user story, often broken down into smaller stories or features, for development. Backlog – the list of stories that are to be completed but have not yet started development or have not been assigned to an iteration. Daily standup– a short, daily meeting with the project team to check in on the status with each team member and their work. Story points– an estimate of work required to develop and test a user story. Usually given in whole numbers that don’t always represent days. Velocity– the number of points that a development team can implement within an iteration. For example, if a team has a velocity of 20, they can implement a number of stories that have total story points that equal 20. Burndown chart– a chart that shows the number of points or stories that have been completed during an iteration, broken down by day. Shows the progress of an iteration. Scrum master– responsible for allowing the development team to get their job done effectively, by speaking to other people and getting things set up and resolved for them. Iteration manager – overall responsibility for the iteration and the release. Commonly performed by a scrum master. Agile coach– an experience Agile practitioner, who is consulted for project teams and can offer advice and guidance on these projects. Retrospective– a session or workshop that is held after an iteration, to determine what went right and what can be improved in future iterations.